A brand-new Chuggington DVD, “Chuggington: The Big Freeze,” is coming down the tracks and will be available on October 13! Featuring six fun-filled adventures – including a never before seen holiday special episode – the latest release from Anchor Bay Entertainment is just the ticket to help families from coast-to-coast celebrate the upcoming holiday season. When icy temperatures cause the town to run out of fuel and all diesel engines are grounded, it’s wheels-to-the-rails as Chief Jackman and his team of brave Chug Patrollers work together to find a way to the frozen docks to retrieve fuel and get the town of Chuggington moving once again. Fans can join Fletch as he tries to repair the lighthouse, chug along with Calley as she tests to become a first responder, watch as Brewster gets closer to being a Chuggineer, and more! “The Big Freeze” will help teach little chuggers nationwide important lessons about safety, responsibility and teamwork as they ride alongside their favorite friends, Wilson, Koko, Brewster, and Asher! And, for double the Chuggington fun this holiday season, also being released is Wilson and the Dinosaur to DVD on October 13th. 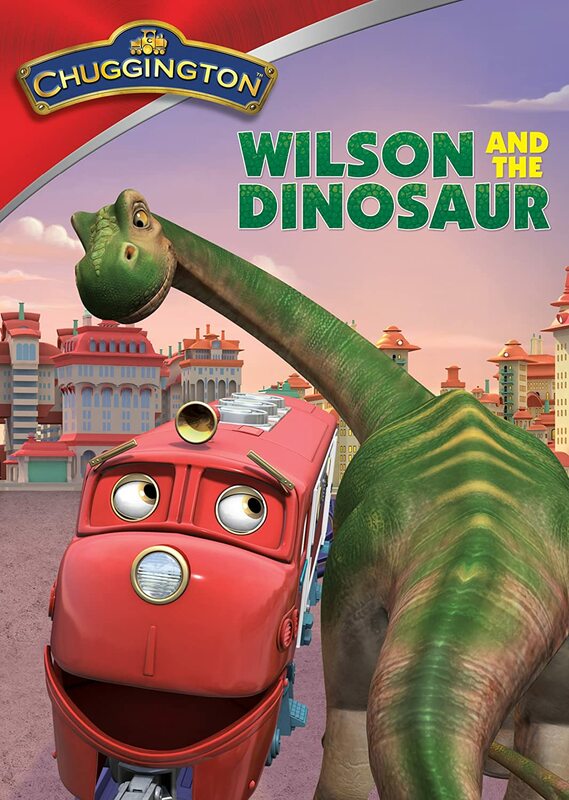 There's a dinosaur on the loose in the Chuggington train depot in this new-to-DVD collection of episodes! When an exciting new dinosaur exhibit comes to the town museum, the trainees are roaring to spread the message with their new Jurassic sidekick Photosauraus! Other exciting adventures unfold, too, including Olwin's bubbly mishap at the Chug Wash, Zephie's rescue of a bee hive, Hoot & Toot's hard-earned Gold Wheels, and more! In this dino-sized collection of episodes plus Bonus Badge Quests, Character Montages and Coloring & Activity Pages your own little Chuggers will learn positive values such as teamwork, concentration, patience and hard work! Young fans can experience “Chuggington” fun at Amtrak Train Days events, taking place across the country. For information visit https://amtraktraindays.com/events/. I think he would watch Chuggington: Wilson and the Dinosaur first. 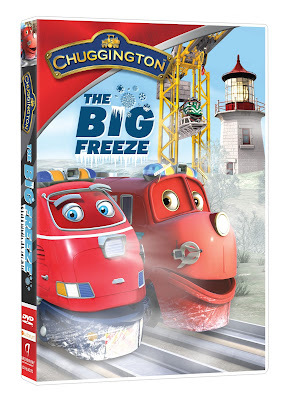 My grandson would watch this DVD first with his grandma; Chuggington: The Big Freeze. We would watch Wilson and the Dinosaur first. My grandson would most likely watch Chuggington: Wilson and the Dinosaur first! Chunningtons Wilson and the Dinosaur would without a doubt be the first DVD my grand daughter would want to watch first. She loves Dinosaurs. We would watch Wilson and the Dinosaur first, our little guy loves Chuggington and dinosaurs, so seeing them together would be perfect for him! I think my son would probably watch The Big Freeze first. This is a house of dinosaur lovers - that one would get watched first! My kids would like The Big Freeze. The Big Freeze looks the most fun to me. I think my children would most enjoy the Chuggington: Wilson and the Dinosaur dvd. Wilson and the Dinosaur first! Wilson & the Dinosaur my son would LOVE. 2 of his favs in one! My son would love all of the chuggington DVDs. He would watch Wilson and the Dinosaur and The Big Freeze. I would say they would watch Chugginton: Wilson and the Dinosaur. We would probably watch the dinosaur one first! Unless the Big Freeze has polar bears! We'll watch the one with the dino first. I know that they would enjoy both but maybe The Big Freeze. I think first we would watch The Big Freeze DVD.